On other days we strictly do not allow visitors. Please book your appointment using the form below. We kindly request you to reconfirm by calling to our mobile no 24 hrs before the visit. 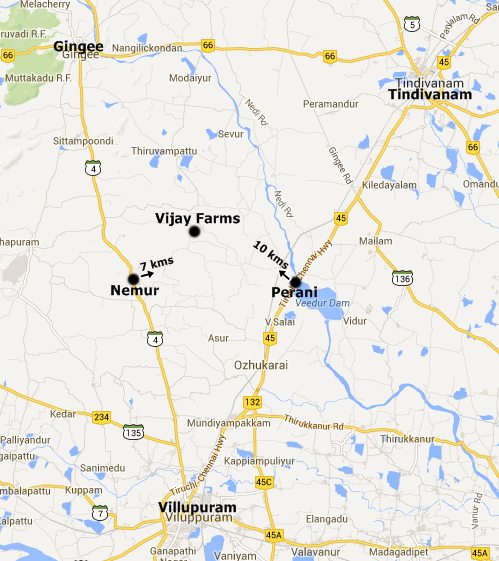 Thirunandhipuram is a small village and for Lodging facilities,Good Hotels,ATM etc one has to use only any of the surrounding towns such as Villupuram,Tindivanam,or Gingee. The above information is provided free of cost. You can also attend our one day training for extensive details on Goat Farming. Click here for more details on training program.